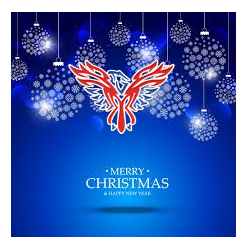 All staff at Phoenix Flooring Limited, Bristol would like to wish everyone a very Merry Christmas and a Happy New Year. Our Warehouse in Thornbury has been open a year in January and our NEW Carpet and Flooring Showroom at Unit 15 Hemingway Business Centre, Walker Way, Thornbury BS35 3US, Bristol, opens 2nd January 2019. Whatever your carpet and flooring needs – why not pop in to one our Carpet and Flooring Showrooms at Stoke Lodge or Thornbury, Bristoland view our extensive range of Karndean, Amtico, Laminates, LVT, vinyl, coir matting, carpet and flooring.